Basic cable, however, still has a smattering of solid offerings, too. 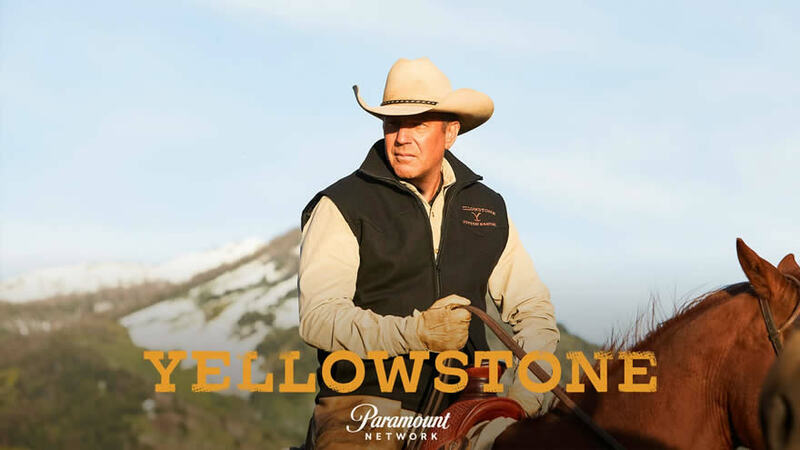 Kevin Costner’s Yellowstone, for instance, debuted last week on the Paramount Network and received a whopping 5 million viewers, becoming ad-supported cable’s most-watched scripted drama series premiere since The People vs O.J. Simpson. It’s also quite good, though the movie-length runtime of the premiere may discourage some folks. Yellowstone comes from Taylor Sheridan, and if you’re a fan of Sheridan (Wind River, Hell or High Water, Sicario), this should be right up your alley. Costner is such a natural fit for Sheridan’s work that it’s hard to believe it took this long for the two to connect. The series itself seems to combine some of the themes from Sheridan’s Wind River with Costner’s Hatfields & McCoys and, I dunno, Dallas? As the dust settles from the shootout, the Duttons deal with the potential repercussions. The Duttons deal with a painful family anniversary. Kayce saves a young girl from danger. A secret about John comes to the surface. Beth shows Jenkins a rough night out. The confrontation results in three deaths, and it’s here where Yellowstone is most interesting. The tribe had been led by a more “civil” guy who had gotten along with Dutton, but Thomas Rainwater (Gil Birmingham) takes over, and he plans to use money from his casino and political power he wields with a Montana Senator (Jill Hennessy) to buy back all the land that was stolen from his people by the government. He actually orchestrates the violence to win sympathy, although, in the early goings of the series, he’s seen as something of a Machiavellian type while Sheridan shifts our sympathies toward Kevin Costner’s character. Knowing Sheridan as I do, however, he’s all about maintaining a “certain way of life,” and that is true for both the Native Americans and the ranchers, and it’ll be interesting to see how this plays out (in all likelihood, the wealthy land developers will be seen as an evil to both groups, though the daughter, Beth, seems to represent their interests). Meanwhile, over on AMC, Dietland is near the midpoint of its season. It sees Plum Kettle (Joy Nash) work as a ghostwriter for a fashion magazine editor, Kitty Montgomery (Julianna Margulies, at her most deliciously evil). Plum, who struggles with her self-image, embarks on a journey of self-discovery, so to speak, with a cult-like outfit that is less interested in helping Plum lose weight and more interested in improving her self-esteem (I think; their motivations aren’t entirely clear). Meanwhile, there is also an organization called Jennifer that has taken #MeToo to the next level: They’re brutally murdering high-profile rapists and misogynists and dropping them out of planes or off of overpasses. It took a few episodes for Dietland to get going, but even before it gained a head of steam, Joy Nash was so goddamn good in this that she managed to maintain my interest in her character even when I wasn’t that interested in the story. That, however, has changed as the storytelling has hit a stride, and after this week’s episode, I find myself fully immersed. Unfortunately, I don’t think anyone else is watching, and a show that is very much “of the moment” is being largely ignored.